The latest edition of Wanted Wednesday features wanted man Gary John Wiszniowski, 33. Each week the 55 Division Crime Management Team highlights a person wanted in the Division. Wiszniowski is wanted for assault cause bodily harm and choking. It's alleged that on April 19, 2014 the wanted party and the victim he has known for some time got into an argument when the wanted party became enraged, kicking the victim to the ground where he continued the attack by choking and punching the victim. A security guard then happened upon the assault. Gary Wiszniowski is described as male white, 5’9”, 141lbs., with short brown hair, green eyes and also has a thin moustache. For further information please visit the following 55 Division on Facebook or @tpsofficerrob on Twitter. 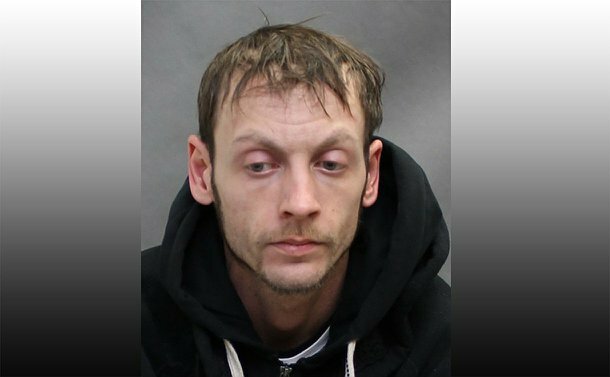 If you know something, say something about Gary Wiszniowski or any of our other outstanding “Wanted Wednesday” people please contact 55 Division at (416) 808-5500, Crime Stoppers anonymously at (416) 222-TIPS (8477), online at 222tips.com text Toron and your message to CRIMES (247 4637). Leave a message on Facebook, Download the free Crime Stoppers Mobile App. On iTunes, Google Play or Blackberry App. World.